facendo della vita una commedia divertente. sfidando il buon umore delle tue scarpe rotte. sopra la schiena dei gatti in amore. 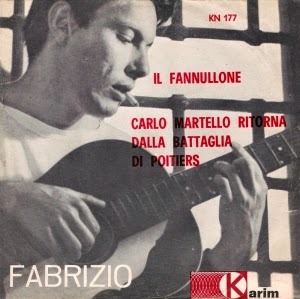 "Il fannulone" was the A-side of De André's third single on Karim, released in 1963. It was co-written with Paolo Villaggio, a childhood friend. 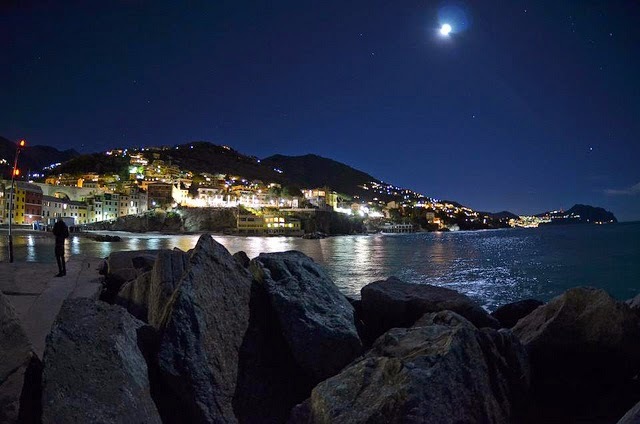 There are several strains in this early song that will surface regularly in later songs: going against the grain of mainstream society, a sense of irony towards so-called respectable folk ("la gente per bene"), and an irreverent and playful attitude. The song no doubt sprang from the anti-conformist lifestyles of the two young authors. Riccardo Venturi called this song "deliciously revolutionary and subversive" and described it as a "hymn to doing nothing," where to do nothing is to live life truly, not allowing a dehumanized corporate complex to take it away from you. over the backs of the cats in love." I sleep fourteen hours a day. I enjoy the reputation of a slouch. if I don’t manage to do anything in life." dreaming a thousand tales of glory and revenge. who laugh, fixing you with blank, empty stares. making of life an amusing comedy. was a tragic increase in hunger. if I’m not well-suited for carrying the chains." washing the scraps of the elegant people. and dishwater doesn't reflect the moon." defying the good humor of your worn-out shoes. the stray dog has found its love." you loved your woman like a day on vacation. anyone that might offer her tenderness. perhaps singing a story of love. one that walked inattentive at her side. they will applaud her, the enchanted stars. the strange dance of two slouches. over the backs of the cats in love. 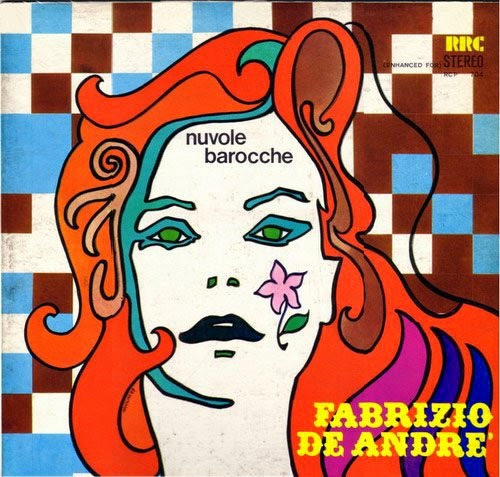 Nuvole barocche, released in 1969, is a collection of De André singles on the Karim label from 1961-1966.